Several freshmen say they want to find those responsible after Commons and Complex were vandalized in the early hours of Friday morning. The Hamden Police Department and Public Safety are currently investigating cases of vandalism in these residence halls, according to Associate Vice President for Public Relations John Morgan. 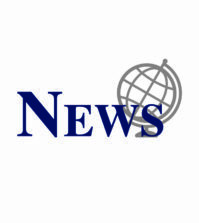 The damages were found around 1:15 a.m. on Friday, March 25, Morgan said. He said windows were smashed in Complex and ceiling tiles on the first and second floors of Commons were broken. 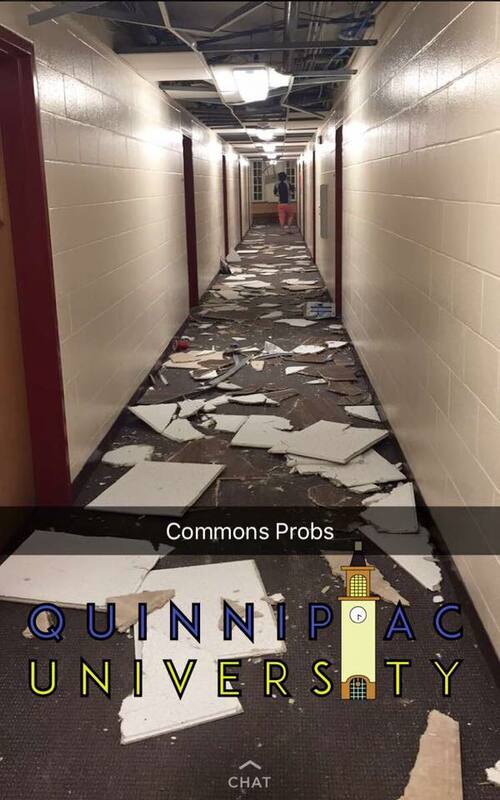 Photos from students show pieces of ceiling tiles, garbage and broken glass scattered down the hallways in Commons. Freshman criminal justice major Krista Notarfrancesco also lives in Commons. “It looked like a bomb blew up,” Notarfrancesco said. Morgan said the cost for the repairs is not yet known. Traditionally, the university has billed the entire building if the culprit for vandalism is not found. “It’s not fair to put that financial burden on us if we didn’t do it,” Notarfrancesco said. Freshman economics and legal studies major James Burnham also lives in Commons. He was in his dorm sleeping when the ceiling tiles were punched out. “I heard everything happening,” he said. Once he heard the commotion, Burnham said he looked outside his door. Burnham said he recognized some of the students doing the damage and that he heard from other students that visitors did some of the damage. Though he hasn’t spoken to his Residence Hall Director (RHD) yet, he said he intends to. The hallways that received the damage were almost entirely vacant because most students went home for the three-day weekend, according to Beer. But he said he heard that students from other hallways in Commons, and even other dorms, may have been involved in the vandalism. For students who weren’t on campus when the damages occurred, or for the entire three days, Beer thinks it’s unfair for them to face charges for repairs if those responsible do not come forward. Since Beer was in Commons after the vandalism was done, he said he and his roommates spoke with their Resident Assistant (RA) and RHD about possible charges. This is not the first time students have damaged residence halls. Students and administration were frustrated with vandalism in Commons in the spring semester of 2013. There were also 38 reported acts of vandalism in all the residence halls from February 2015 to May 2015, according to Public Safety’s monthly crime reports. Vice President for Facilities and Capital Planning Sal Filardi said at Wednesday’s State of the QUnion that damage in the residence halls happens too often. This then hurts students because the university has to spend money to repair the damages when that money could be spent elsewhere, he said. The university is asking students who have information about the vandalism in Commons or Complex to contact Public Safety. Calls will be kept confidential. Madison Fraitag contributed reporting to this story.